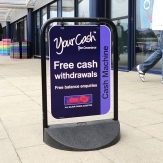 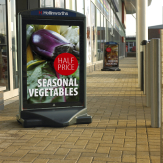 Pavement furniture such as A boards can give you an advantage over your competitors. 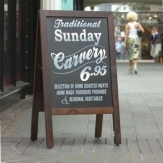 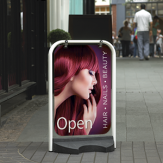 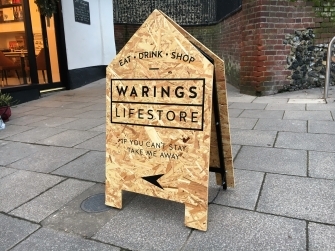 A Boards or pavement boards are the perfect extension to your shop front or window signage. 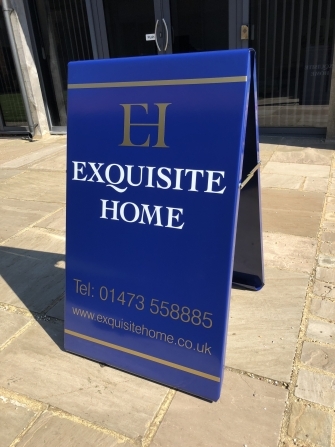 Having the ability to be used in more than one place, these signs can be moved around, taken with you to shows and easily changed if required. 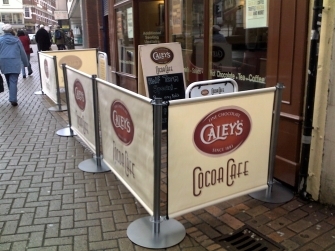 Due to their size and portability they are perfect for use where there will be good pedestrian foot fall and with a range of styles and sizes they are adaptable for your particular requirements.